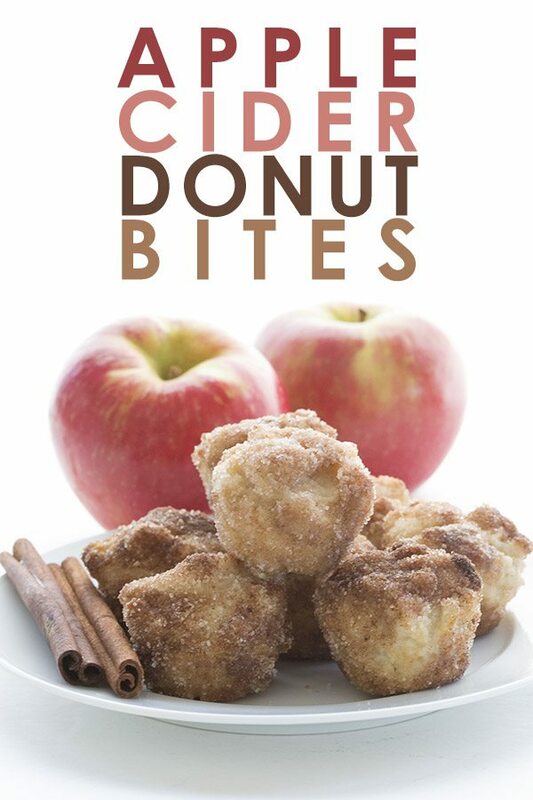 Thought apple cider donuts were a thing of the past on your healthy diet? These low carb, grain-free donut bites will change your mind! I have a theory about pick-you-own apple orchards. I love them and I love going apple picking, but these places are the devil for poor low carbers such as myself. They are the snake in the Garden of Eden, tempting you not with apples but with apple cider donuts. There’s one place in particular that springs to mind as I write this, a place on the North Shore of Massachusetts, not far from Boston. It was a fabulous place, with all the fall themed goodies you could possibly want. Apples, pumpkins, gourds of all kinds, mums in gorgeous browns and oranges, a wonderful farm stand, a petting zoo, and of course miles of orchards with all possible varieties of apples. It was classic New England autumn entertainment and my kids loved going there. But every time we stepped out of the car after arriving, it hit me. That warm cinnamon-y smell of apple cider donuts. I swear they piped it into the parking lot to lure poor suckers into the store. See, they are the devil! It was torture for this low carb diabetic gal and it was very hard to resist temptation. I confess we usually bought some for the kids and I had a bite (or two). They were really really good but really really not good for me. The fact that I could escape relatively unscathed was testament to my belief in the goodness of the low carb diet. For ages now, I’ve always wanted to find a way to make a decent low carb approximation of apple cider donuts. But as apple cider is not at all low carb, I wasn’t quite sure how. I am really good at what I do but I can’t magically remove the carbs from apple cider. I can, however, mess around with apple extract and apple cider vinegar to try to get that same tangy apple flavour. 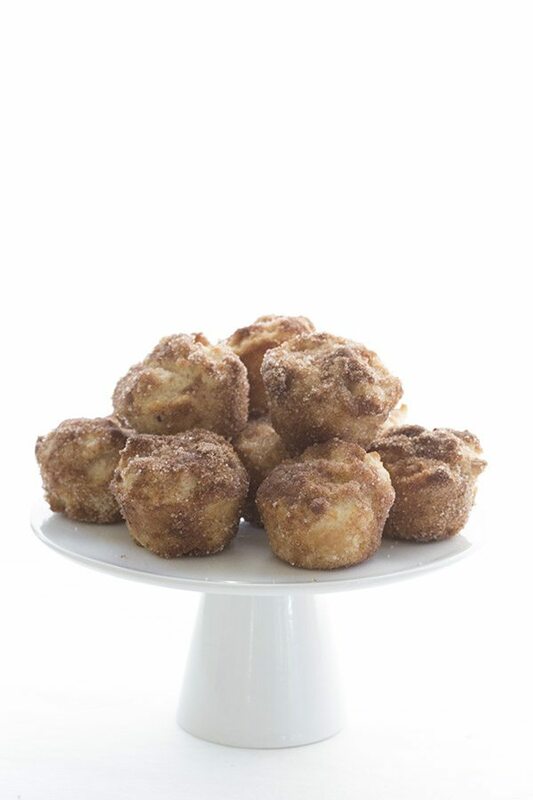 I saw these Apple Cider Donut Muffins on Baked By Rachel and they were so pretty, I decided to give it a go. 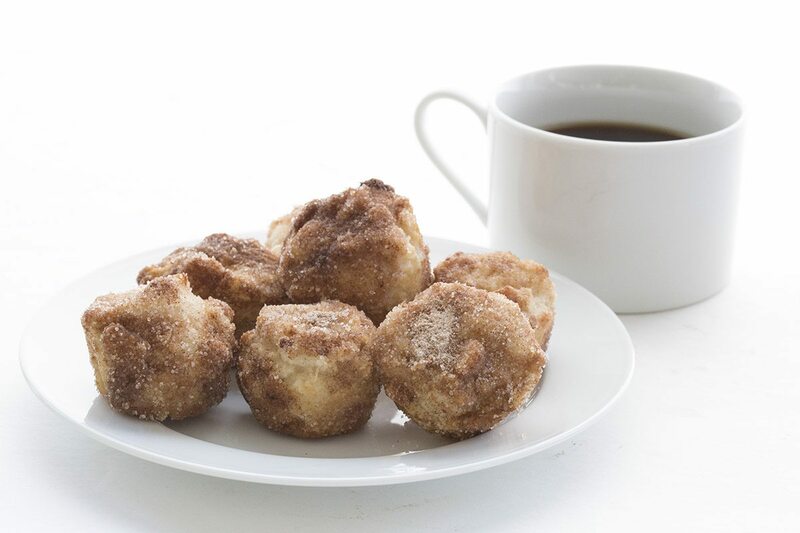 I made mine in miniature so that they were more like apple cider donut holes. I have to say, they worked far better than I had anticipated. I felt like the apple cider flavour was just about perfect, a slight sweetness with a bit of a tang. And dipping them in melted butter and rolling in cinnamon “sugar” made them taste like the real thing. They are a little lumpier than Rachel’s beautifully rounded muffins, but such is the nature of the beast when working with almond flour. 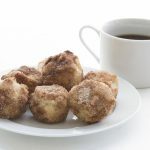 For something that satisfies the apple cider donut craving like these do, I will take lumpy donut holes any day! 1 to 2 tsp cinnamon depending on how cinnamon-y you like it! Preheat oven to 325F and grease a mini muffin pan very well (Use a 24 cavity mini muffin pan). 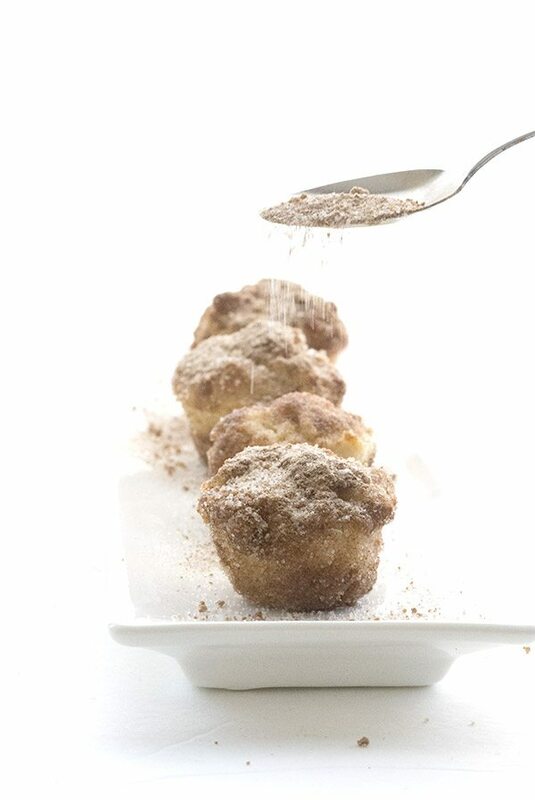 In a large bowl, whisk together the almond flour, sweetener, protein powder, baking powder, cinnamon, and salt. Whisk in eggs, water, butter, apple cider vinegar, and apple extract until well combined. Divide the mixture among the wells of the prepared mini muffin pan (you may need to work in batches if your muffin pan only has 12 cavities). Bake 15 to 20 minutes, until muffins are firm to the touch. Remove and let cool 10 minutes, then transfer to a wire rack to cool completely. In a small bowl, whisk together the sweetener and cinnamon. Dip each donut bite into the melted butter, coating completely. Then roll each donut bite into the cinnamon/sweetener mixture. Yes, I’m so excited. This is the HARDEST part of the season for me, especially living in Connecticut ten minutes from the local pick-your-won orchard. Oh …. Oh my. I’m only missing one ingredient. This just got added to my weekend to-do list. Can anything be used in place of apple extract? Have all of the other ingredients on hand and not sure if local stores carry this extract. I suppose you could use vanilla but it won’t have the same apple cider flavour! I’ve seen another low carb recipe for apple crumb cake that uses apple tea. 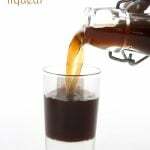 I don’t have the extract either and was thinking about using strong apple tea in place of the water. I used half vanilla and half maple extracts since I don’t have apple. It was still delicious! Lorann Oils makes it. Sometimes you can find small (1 dram) bottles of it at places like Michaels or AC Moore or other craft shops in the cake and candy making aisle. Can get it from the company directly online too. We found it at Michael’s where we live. Thanks for the answer and suggestions of where I can get the apple extract. Order it on Amazon! I got it there! While making this, I realized I have never owned apple extract. So I decided to use an extra splash of vinegar and some apple pie spice. I think it tasted like apple! Christy, getting a set of the small silicone liners is worth it….lot of uses for them and they are cheap and take up no cabinet space stacked. These little ones stand up well on their own on top of a sheet pan. I also recently invested in an inexpensive electric “donut hole” maker ($15) from Amazon, and LOVE it. Less mess, cooks fast, donut holes are ROUND. Great if you don’t have a big family and want to knock out a half recipe for you and your +1. Carolyn, these look WONDERFUL. On my to-do list for tonight. What a creative way to get that snappy apple flavor. Thanks! I’d go with the donut maker…the batter is too thin for rolling, it was spread and you’d have a mess on your hands. Is the nutritional value per donut or for the entire batch? Per serving which is two donut bites. If I use reg muffin pan, how long in oven? Not entirely sure but closer to 25 minutes. You must be talking about the apple cider donuts at Russell’s Orchard in Ipswich. They’re the gold standard of apple cider donuts. Need to give your recipe a try. Thank you. I live in Salem, MA! Russell’s is amazing. I just took a batch of these out of the oven, had one warm with a cup of coffee to celebrate National Coffee day. Side note, I didn’t have Apple extract use walnut instead let’s just say hard to eat just one. I saw Portland beat out Seattle as the best place for coffee, have to say there are some great Rosters in your area. Is the vinegar for the apple taste or for intwraction with the baking powder? Ive heard of apple cider donuts before and have heard that people LOVE them. I’ve never had one but these look great and I like the low carb aspect! Alternative to Whey protein? Just use a different protein? Or maybe ground psyllium husk? I’ve noticed many of your recipes now use whey protein powder-my daughter and I are allergic to dairy-is there a sub or can it be left out? Realllly want to try these!! This brings a big smile to my face. Doughnuts are my weakness. Can’t find apple extract but I do have some sugar free apple syrup (for making lemonade). Might work if I mix it with the water to make up the required amount of water. What do you think? I say it’s worth a shot! Carolyn .. In your recipes that call for unflavored whey powder – can vanilla be subbed in most cases without much damage to the flavor? Thanks! I used vanilla pea protein powder and they turned out fabulous. I must be Southern too, then because pecans = heaven to me. These look like the perfect addition to weekend brunch! Thanks for this healthy alternative! Can’t wait to enjoy donut bites again! I can’t wait to try these! These look marvelous. Also, apple cider flavored herbal tea with a bit of apple extract, sweetener, and citric acid makes an almost exact replica of spiced apple cider. Sometimes I steep it with a few cloves and some shaved orange rind and it’s like the real thing. could you use apple cider instead of the vinegar/extract? and if so, would you use the same amount? That amount of apple cider has very few carbs. Well, but you’d need to replace the water with apple cider too. The water/vinegar/extract is what is replacing cider here. Wow! Just made these and they were AWESOME! I admit I made full size muffins and subbed Jay Robb vanilla protein powder, since that’s what I had on hand. I have a conference in the morning, with “breakfast provided”. We all know that means doughnuts and fruit. I’ll be taking one of these to enjoy instead. Yay, so glad you like them! I made these today and made a couple changes. I took 1 cup of regular apple cider and boiled it down to 1/2 cup. I used what I needed to replace the water, extract and vinegar. It did add appox 1 additional carb per bite, but oh my gosh they were soooo good. Carolyn, Do you think I could sub THM Baking Mix for the almond flour? 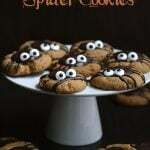 I REALLY want to make these and I don’t have almond flour but I do have THM Baking Mix. I’ve never subbed in any of your recipes, I always make them as written so I thought I would ask you. Thanks! You can but it is dryer so add more fat in there to make sure your end result isn’t as dry. One word. REDICULOUS, I had to walk away, serious yum! I actually work at one of those close to Boston, New England pick-your-own orchards and these donuts really are the end all, be all of my fall. I can’t wait to give this a try!!!! I used THM gentle sweet instead of swerve, and almond extract because I had no apple extract, and wow these are great donuts! I also skipped the rolling in sugar. 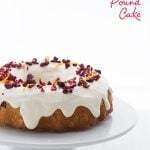 You are one of the few LC bloggers I have found in my 3 years of THM whose recipes always turn out great. Any replacement for the Apple cider vinegar? Regular vinegar? No, you really need the ACV to get the right flavour. I suppose you could skip it altogether but it won’t be the same. Very nice! Our family really enjoyed the testure of the bites! THM E? I substituted vanilla and maple flavorings for the apple flavoring. These didn’t have a strong apple taste, so I might try the boiled down acv mentioned above in place of water and see what happens. What whey protein do you recommend? Is it possible to use Great Lakes Collagen powder in place of whey protein powder? Been trying to make these since last fall – during ‘apple’ season. (Food is somewhat theme-y – amirite? Pumpkin and apples in the fall. Peppermint and Gingerbread at Christmas time.) ANYway, even tho’ it’s way past the ‘correct’ season for these, made them last weekend. I have no reference to apple cider donuts (never had one — but truly have never met a donut I didn’t like!) and they sounded so unusual to me. As with ALL your recipes, these are wonderful. The perfect little bite with a cup of coffee or tea (or even almond milk). DELISH. These look great! I will definitely have to try them. For those looking for Apple extract, I found Lorann’s oil apple flavour in twin pack for $3.99 USD on the Michael’s U.S. website. It is also on the Canadian Michaels site as well. I just bought a donut hole maker at the Salvation Army store for $3.99 and would love to use it as a local bakery makes apple cider donut holes that are delicious. I suspect this will make a batter that is too thin to use in the donut hole maker. Has anyone tried this technique? The batter’s actually pretty thick. I think it might work. Do I have to use a doughnut maker? Or a doughnut pan….can I use a baking sheet?? Or muffin pan?? GRRRR. I just want to make something with what I friggen have! If you read the recipe you will see…It’s made in a mini muffin tin. I do not own a doughnut maker, although I do have a donut pan. Oh how I love the orchard you mentioned! Those apple cider donuts are such a waekness! I can’t wait to try these out :). Could you use collagen protein instead of whey? Or would that maybe effect the texture? Just curious because that’s what I have on hand. I definitely don’t recommend that and I would simply skip the protein powder. every time I have attempted using collagen, it becomes gummy and doesn’t rise nearly as well. Carolyn, your recipes continue to thrill my family – thank you for all you do!!! Whey Protein Powder – can I use Whey Protein Isolate? Will it affect texture/flavor? REALLY want to make these today for the kids New Year’s treat (ordered everything via your links but missed one item I guess!) but I only have Quest protein powder and whey isolate on hand….. It should work for these. 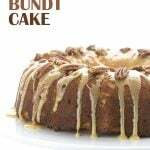 Carolyn, Can anything be used in place of almond flour? I just wanted to try another lowcarb flour if it is possible. 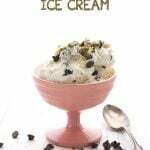 Thank you for sharing amaizings recipes. I just received your cookbook and it is beautiful. 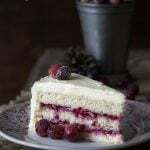 I have found so many recipes I want to make. Would you please tell me what brand of apple and banana extracts you use and where they may be found? Thanks so much. very sad.. 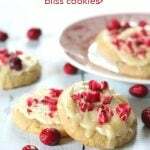 I find great recipes then discover it uses almond flour. I cant eat almond flour because it really messes with my belly. I need to find someone who uses only coconut flour. No you don’t, you need to try sunflower seed flour! 🙂 But you should also search my blog for coconut flour recipes as I have MANY of those. My very popular chocolate donuts are all coconut flour, as are my classic chocolate cupcakes. I’m so sensitive to Dairy I’m concerned about using this whey powder. Think I could get away with powdered egg whites? Or perhaps the gelatin like you used in your ginger cookies which by the way where to “live” for! 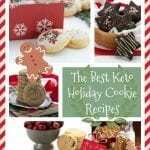 I’m a natural foods chef, and if I had a website I would have chosen a name like yours because that’s what I do all day is dream about food and dream up keto recipes. I’ve been keto for 2 years and absolutely love eating this way and continue to learn more and more and more about how to feed my body so that I will age gracefully. Just even three months ago my doctor diagnosed me with being pre-diabetic which was very confusing since I’ve been eating keto for 2 years but I did two rounds of the 5 day fast mimicking process, and no longer show being pre-diabetic! So many intertwining processes within the body that work together… A lot of it has to do with the quality of oils one is eating. I am strictly on avocado, a little coconut and a little raw high-quality olive oil. I make the ginger cookies with avocado oil and they are fantastic). There are so many complicated intertwining systems within the body that work together… the amount of inflammation that one has in the body also makes a big difference and that’s my primary target right now to be working on. You’re the first website I send my friends to who inquire about eating ketogenicly! Every single thing I’ve tried of yours husband fantastic! Don’t use gelatin, it makes them gummy. But yes…you can use egg white protein powder. what is the purpose of the water? and instead, do you think you could use sparkling apple cider and eliminate the water and apple extract? also thinking of cutting the almond flour by a 1/2 cup and adding a 1/2 cup coconut flour. May need a little extra liquid or egg I imagine. Thoughts on those two ideas? I have two of your awesome cookbooks. Every single recipe I’ve tried so far is wonderful. I love the layout and the pics in the back for easy selection. Just received the apple extract you recommend for this apple cider donut recipe. The extract tastes and smells terrible. Is it supposed to be like this? I really hate to try this recipe and ruin all these ingredients if I have a bad bottle. I placed a few drops in about 12 oz of water with a little mint and stevia to taste it and it has left a lingering terrible taste in my mouth. Should I return it or will it work? I could not find another manufacturer and I am craving these donuts!! Thanks. Oh boy I wish I could tell you! I wish we could compare my apple extract and yours. I just went and smelled mine…it doesn’t exactly smell like apples in the bottle, it almost smells more like coconut extract. Which is weird. But in the recipes, it definitely tastes like apple. These are a must get everytime we go pick apples but so happy I can make them at home now! They are such a fun way to welcome fall! I love the texture of these! I don’t use protein powders, can I put something else? 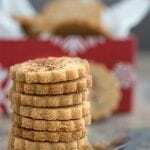 Different flour, psyllium, or add baking soda? None of those will work. Let me explain WHY you use protein powder… gluten is a protein and in its absence, another dry protein helps the baked goods rise and hold their shape, without being gummy and wet. I urge you to try it. It barely adds any more than 1g of protein to each serving. You can use whey or egg white protein. So 10 carbs for 2 bites? Just checking. Thanks! No… the serving size is two bites and it’s 4.8g per serving. So less than 5g per 2 bites. Not in this recipe, sorry. These donuts were incredible! And I love that they are low carb! Bookmarking for later. I am always looking for yummy ways to use protein powder like this. SO smart!!! Healthy donuts?? Sign me up! These look perfect & seem so delicious!! I will definitely have to give them a try! Thanks for sharing! Just tried these and my husband likes them. If you think they will be around longer than a few days, I would keep them in the fridge in a covered container.